In Daugavpils, organisation of international ceramic art symposia has fast become a tradition. This year, the ceramic art symposium CERAMIC LABORATORY is held for the sixth time and brings together 14 ceramic artists from 9 countries. 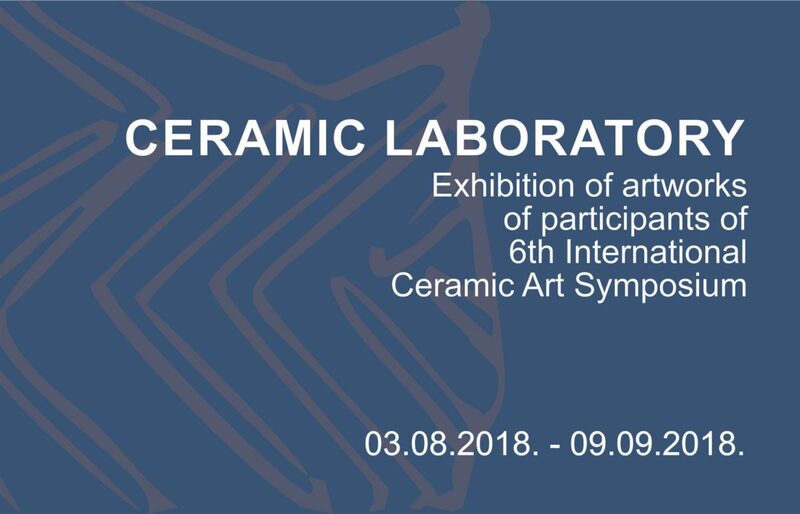 The symposium is organised by Latvian Centre for Contemporary Ceramics in cooperation with Daugavpils Mark Rothko Art Centre as a meeting point for ceramic artists and enthusiasts who come to exchange ideas and share experiences. As such, it shapes Daugavpils into a solid platform of ceramic art where artists can stay and develop, creating a space that exhibits world-class ceramic art of premium quality. This year’s group of artists who surrendered to an experimental ceramic adventure featured Toru Kurokawa (Japan), Alena Muhina (Russia), Mudita Bhandari (India), Eglė Einikytė-Narkevičienė) (Lithuania), Zinaida Blyzniuk (Ukraine), Nizam Orcun Onal (Turkey), Dawid Żynda (Poland), Zsófia Karsai (Hungary), Andreas Vormayr (Austria), Inita Reimandova (Latvia), Lilija Zeiļa (Latvia), Ilona Abdulajeva (Latvia), Una Gura (Latvia) and Sanri (Latvia). Curator of the symposium: Valentīns Petjko. The exhibition showcases some of the works that the artists created over the past two weeks in Daugavpils, drawing from its atmosphere and enjoying the nature’s gift of all but uninterrupted sunshine. Perhaps these works tell a story of a different Daugavpils – one that can only be seen through ceramicists’ eyes as they create artwork which oozes the unique feel and ambience of the town and its surroundings.